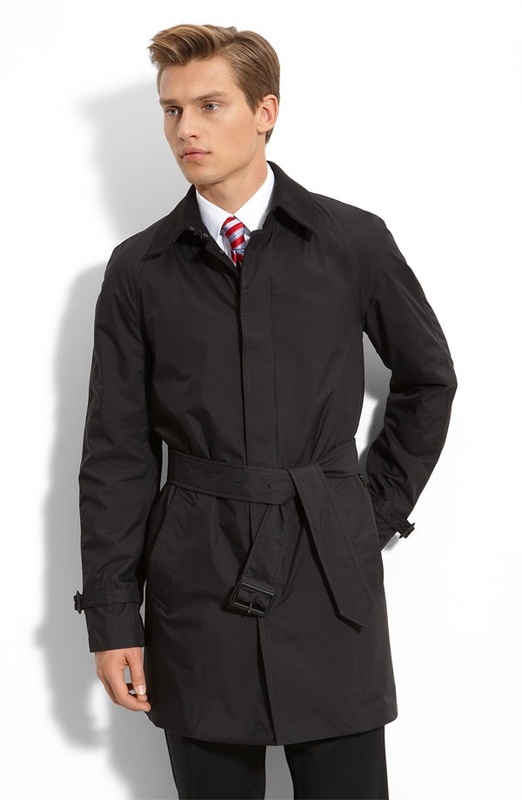 Keep your cool in rainy conditions with this Burberry London raincoat. The water-resistant black coat features a modern fit of clean lines, designed with belts at the cuffs and waist. Featuring a hidden front button closure, multiple pockets, and check-patterned lining, it can help make the most out of unfortunate weather. Available online. This entry was posted in Outerwear, Tops and tagged Burberry London. Bookmark the permalink.